If you want to transform your wedding from standard to stunning and glowing, you’ll probably need to take good care of Light Design. Light is an important detail that will help create the mood and will give atmosphere to the whole wedding party. You can even experiment and use coloured lights, so that the atmosphere will change thanks to the different shades, through the course of the party. Colours have different impacts on the viewer: reds, oranges and yellows are generally bright and stimulating, while blues, greens, and violets are usually peaceful and restful. Colour harmonies, or colour combinations, are generally appreciated as being pleasing to the eye. We will figure out together which type of Light Design best suits your wedding and budget. 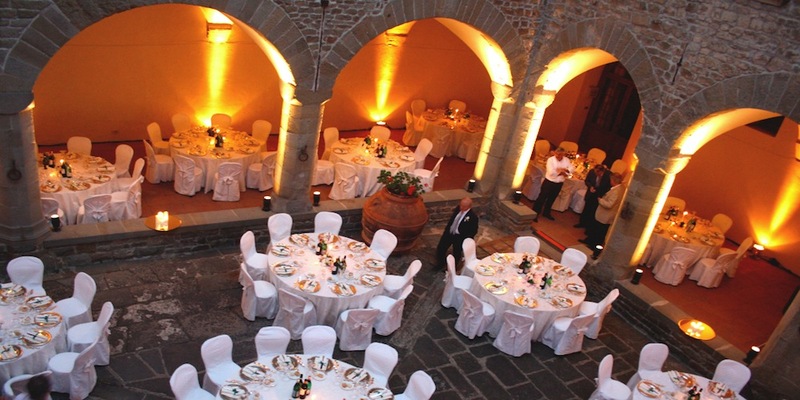 Lighting in the right way to give a style mark plus to your wedding reception in Italy.